Spacious Private rooms are provided with a full electronic profiling bed, colour coordinated soft furnishings, built in wardrobe as well as individual lockable cupboard. Each room has a flat-screen television, telephone access points. Every room at Sunhill has a full ensuite toilet and shower room. A wonderful feature of our rooms is that they also have a Patio door accessing the landscaped internal gardens offering our residents a tranquil space. The entire building is WiFi enabled to facilitate any personal electronic devices residents may choose to bring with them. 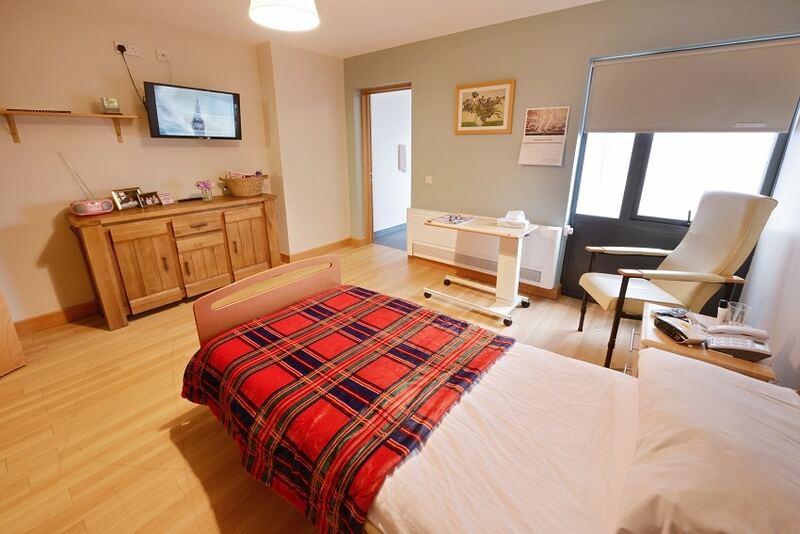 Spacious Semi-Private rooms are provided with full electronic profiling beds, colour coordinated soft furnishings, built in wardrobes as well as individual lockable cupboard. Each room has a flat-screen television, telephone access points. 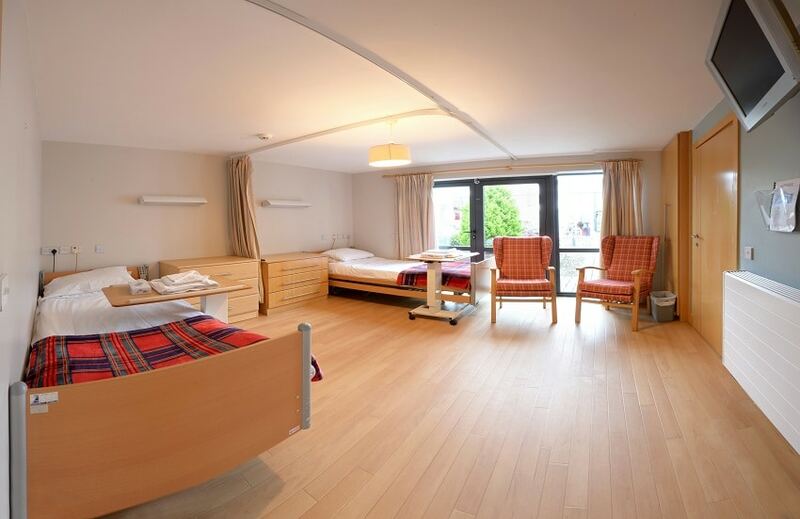 Every semi-private room at Sunhill has a full ensuite toilet and shower room. A wonderful feature of our rooms is that they also have a Patio door accessing the landscaped internal gardens offering our residents a tranquil space. The entire building is WiFi enabled to facilitate any personal electronic devices residents may choose to bring with them. 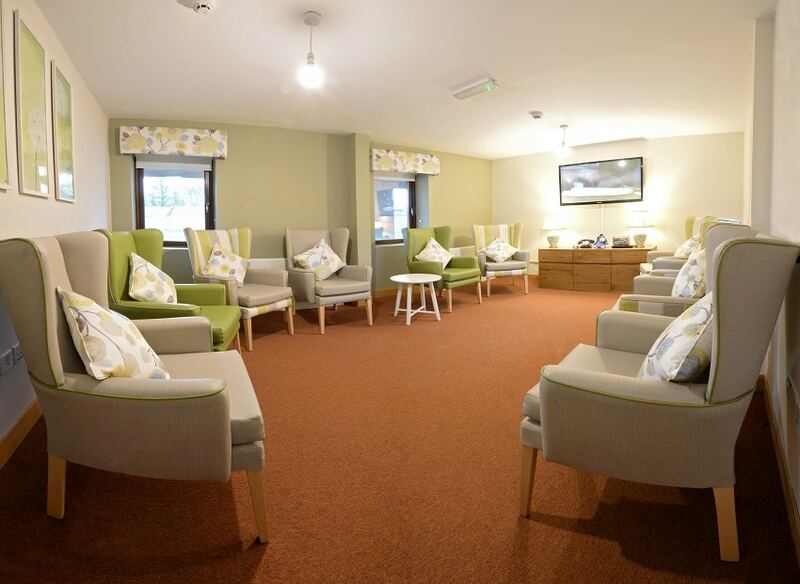 At Sunhill we have a total of 8 Living-Rooms, many with large flat screen televisions where people can sit and watch their favourite TV shows, others are designated at quiet rooms. Sunhill has 3 spacious Dining Rooms. 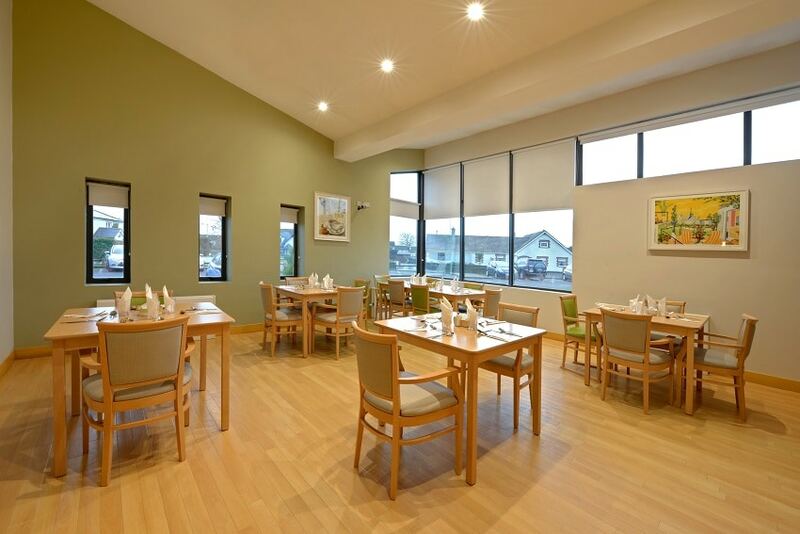 Breakfast is served to all of our Residents in their bedrooms, while we encourage Residents to socialise and meet each other at other mealtimes in the dining rooms, we of course respect individual wishes.